The Fernhill Range is the ultimate range of stair components, ideal for producing something grand and memorable. These parts are designed and produced to exceptional standards in stunning natural timbers, including American White Oak, Hemlock and Sapele. Half newel posts are the perfect way to start or finish a handrail against a wall, providing a strong but neat finish to your landing or staircase bannister. Here is a selection of half size newel post bases. 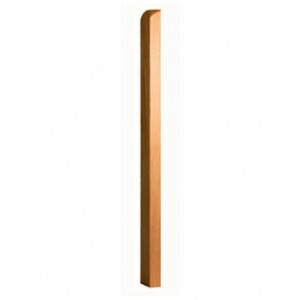 These bases can be used for the square part at the bottom of a newel post.